Galileo is a sweet girl. 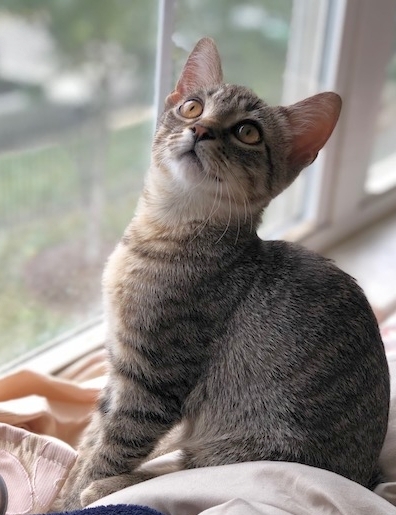 She is very unusual and precious because she was born with a bobtail. She is the best cuddler and nap buddy. 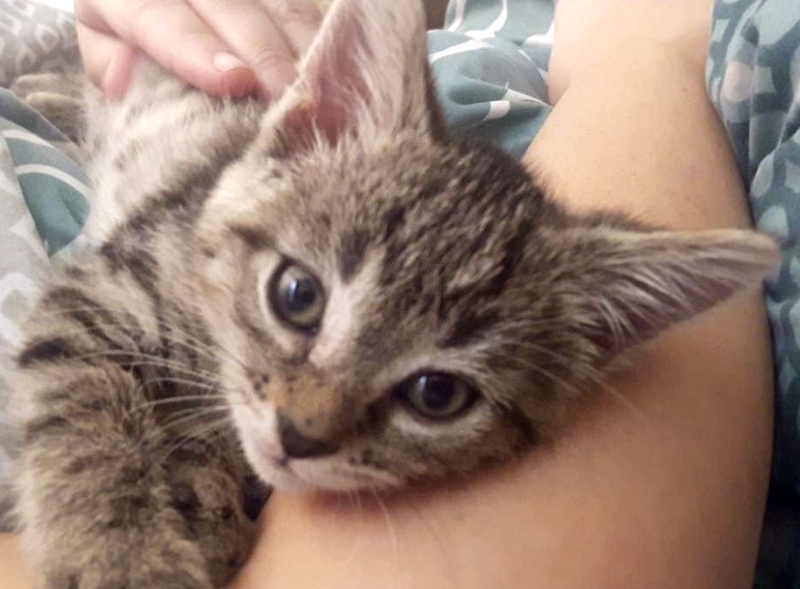 She loves giving kisses and cuddling up next to her foster mama’s face at night. She loves playing with toys! Galileo loves all her siblings very much and enjoys playing/napping with them. 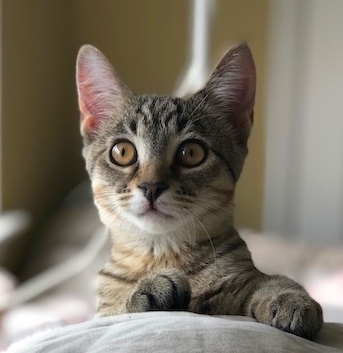 Although not required to have another pet in the home, she would love to be adopted with one of her siblings, another kitten, or to a home with a playful, friendly young cat companion. She might also do well with a playful, cat-friendly dog, given appropriate supervised introductions. For more information or to meet Galileo at an adoption event, please email cats@lostdogrescue.org or call (703)295-DOGS.